W-JET, WAS4: Self-propelled RoadDryer, with the M1 in lift to avoid burn damage on ground, with telescope boom for 30 cm wide side slide left/right to achieve distance to raised objects and traffic. 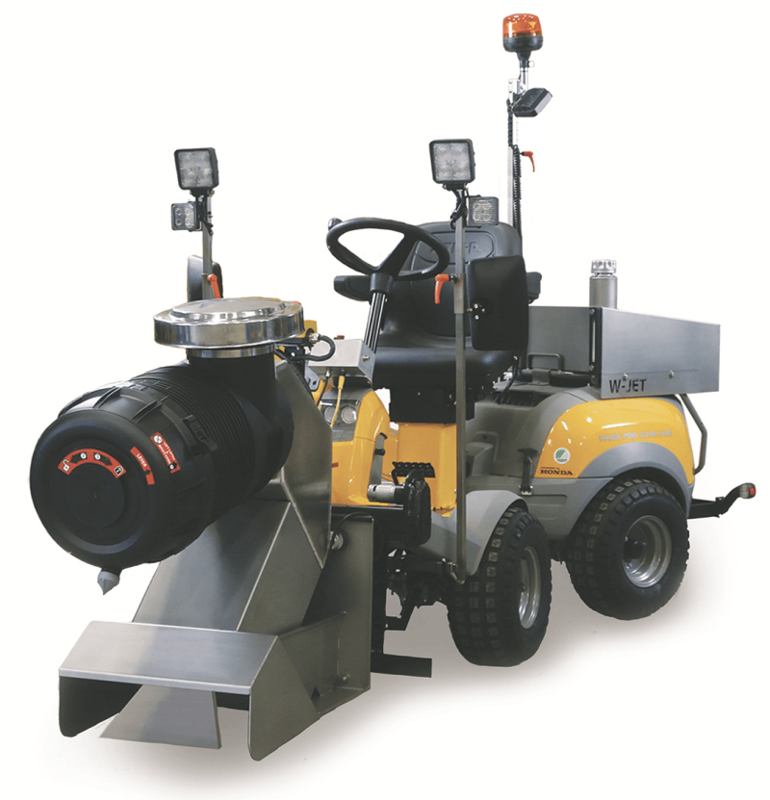 The hydraulic 4WD STIGA PARK PRO mini tractor is driven by a 2-cyl 16HP Honda gasoline engine with 12V/47A alternator and heavy-duty battery system to ensure sufficient electric supply for the jet at all times. Automatic speed control and transport speed up to 12 kph forward and reverse. 55 Litre jet-fuel tank for up to 2 hours drying at full power.